Why Is Social Listening So Crucial For Luxury Brands? There are more than 1,000,000 engagements about the luxury space occurring every day in the social media and digital ecosystem. This is where word-of-mouth takes the form of reviews, customer support is expected in real-time and where brand messaging and consumer communications play a very strong role. Hence, this is exactly why listening and actively tracking what consumers share about your brand matters the most. Luxury merchandise, spanning across jewelry, cosmetics, apparel, automotive to even custom designed furniture and handmade electronics – all have a consumer base that’s actively conducting research and contemplating their high-end purchases online. This is also where consumer conversations left untracked can take a turn for the worse. 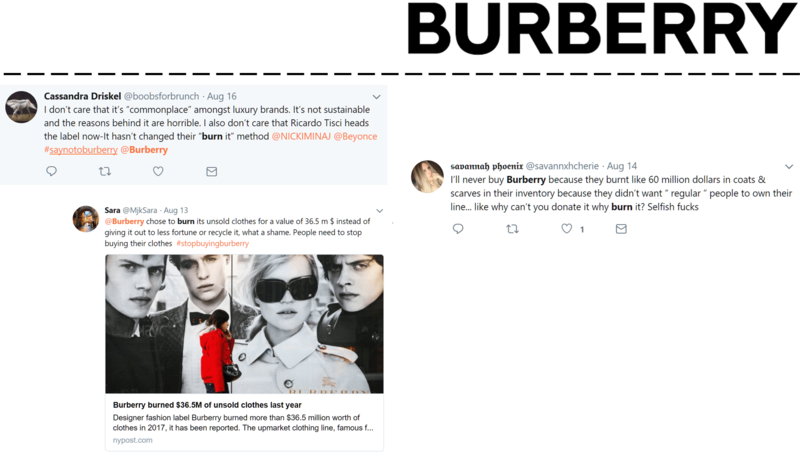 To share an example, Burberry recently faced extreme criticism online for destroying a great deal of merchandise to avoid it being sold at a lower cost. This resulted in high volumes of negative consumer sentiment and criticism online via blogs, forums and even on the brand’s own online properties such as its Facebook page. The news and negative sentiment around this matter continue to spread and this could potentially result in a loss of millions for the brand, if not addressed well in time. Such instances can cause an irreversible damage to your brand perception by consumers if not dealt with immediately and with the right messaging. Identifying what these conversations are all about is not the only aspect that is crucial, but also understanding where audiences are engaging the most and exchanging their views. Luxury automotive brand, BMW, known for its innovativeness and performance, has consistently engaged its consumers. This is done frequently online via various digital touchpoints, immersive website experiences and digital campaigns such as the Z4 AR campaign and the recent “Eyes on Gigi” campaign. These initiatives not only engage consumers online but also fortify the luxury car brand’s perceptions among its consumers. Another luxury beauty retailer, SKII Japan, leveraged online discussions to create a futuristic in-store experience. The experience, called SKII Future X, allowed consumers to feel, touch and experience their SKII products in a unique way including skin scanners and personalized skin maintenance recommendations. Understanding the digital behavior of your consumers and understanding who & what they engage with, is necessary to ensure you are creating content that resonates. They also offer you a means to discover new audience groups, identify current gaps and opportunities and discover which features or attributes they care about most. With 20/Twenty, our next-gen social monitoring solution, Kinder was able to dive deep into the chocolate industry and discover insights about what consumers felt about Kinder products. The brand was not only able to identify key chocolate consumption moments but also how other chocolate brands like Ferrero and Cadbury were being perceived by consumers. This allowed Kinder to create effective and memorable content for moms and teenagers, that was differentiated, targeted and built ground-up from real consumer insights. THERE’S MORE TO DISCOVER WITH SOCIAL LISTENING – EXPLORE THEM HERE!